Was divided in two days Friday first part with theory, Kihon, Ido Geiko ,Kata (Bunkai) and cardio testa .All techniques was done requires from syllabus 10 kyu and up in various positions and various combinations with a total of 1000 different kicks. 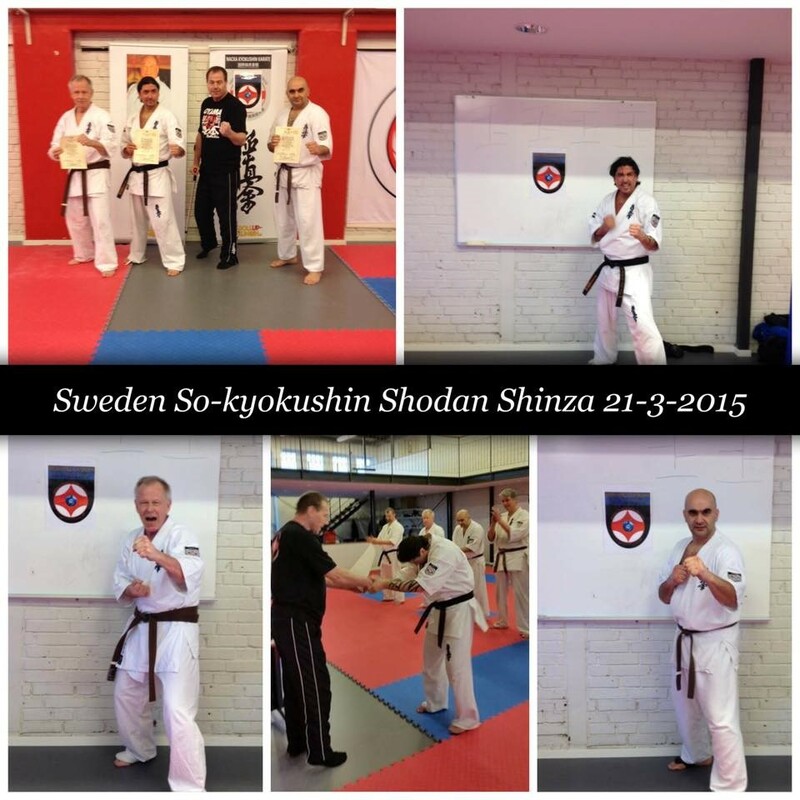 Saturday Shodan Shinsa Went on with kyokushin kumite test in true kyokushin spirit. Those who passed the test were. Robert Guntram new Senpai at 67 years of age 21 mars 2015. I have enormous respect for this incredible man he began his kyokushin training under Shihan Brian Fitkin in Stockholm 1975 and graded up to 8 kyu by Shihan Fitkin then came a break in kyokushin training of many many years for various reasons but as we all know who belongs to the kyokushin family kyokushin are always in our hearts and never be forgotten so Senpai Robert returned to kyokushin again in 2008, this tim…e in Wiklund Dojo nearly 30-year break at the age of 61 I think it was. His goal was green belt i think he said i said that one day you will go for Shodan when the poison of achieving goals In kyokushin is inserted, there is no return. Senpai Robert has taken all his gradations under me from 8 kyu and I have seen his amazing journey through the years 20 man Fight 30 Fight always every week in the dojo at least 3 times plus all the camps he has even been in a senior tournament a few year ago to challenge his inner spirit. 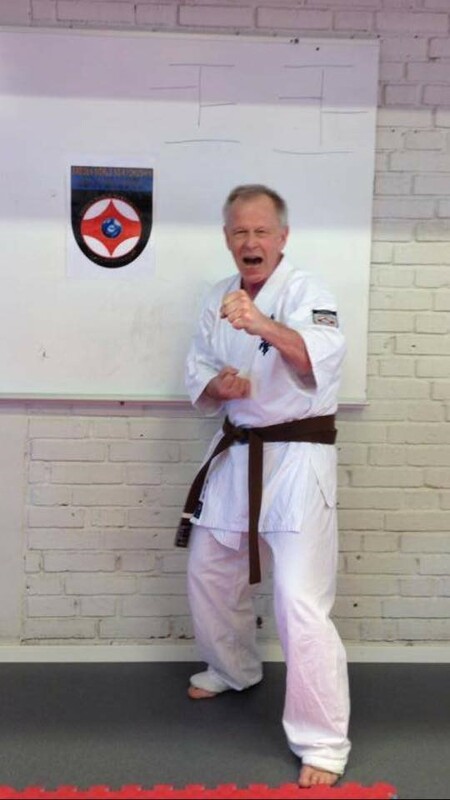 Senpai Robert has all his life been living in Stockholm but worked many years in Gävle where Wiklund Dojo is located so many years of commuting from formal job dojo and home has been. Senpai Robert retirement from work came last year and he became a member of Nacka Dojo in Stockholm during Senpai Marcelo that I had privilege to help during the last year. Feels like we can all learn from this wonderful Senpai that it is never too late to set goals and achieve them in whatever the age we are in Life.